These days our lives can become so busy that we forget to take any time for ourselves. Moments to think, smile, laugh and relax. When I began sewing my Crafties, it was a way I could escape from my hectic everyday life -- sitting on my couch by the window with my needle and thread, sewing that perfect little whimsical creation. Pechanga's Closet was born from a desire to share my constantly evolving creations with my friends. I needed to focus on what brought me happiness and share that with others. It helped me let go of the things in my life that were wasting my energy and focus on what made me happy. Until I did so, I knew I couldn't truly be the creative person I was meant to be. Welcome to my Pechanga's Closet. 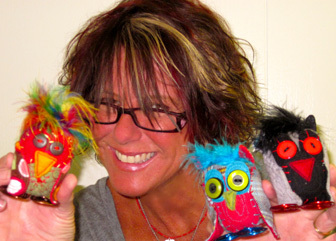 Here you will find my original hand-sewn creations that are sure to make you smile and tug at your heart strings.